The Internet is rampant with homemade skincare remedies, but most have the potential to do more harm than good. We turned to the research to get a clearer picture of which DIY skincare recipes provide benefit and which are just plain bad for skin. We must start out by clarifying: Even the best DIY skincare recipes have only a handful of beneficial ingredients, which pales in comparison to the far more robust blend of beneficial ingredients you can get from a well-formulated skincare product. Equally important is the issue of formula stability, especially if you’re making up a batch of DIY skincare that you plan to use over a period of more than a week or two. Natural ingredients spoil quickly; think about how long a head of lettuce lasts in your refrigerator, even if it’s in a plastic container. Moreover, DIY natural ingredients aren’t necessarily better for skin—in fact, many are a disaster, as we explain here. Nevertheless, if you want to go the homemade route, here are the pros and cons of the most popular DIY skincare ingredients. Honey stands out because it contains beneficial amino acids, antioxidants, and peptides. You’ll often see honey in homemade face masks for dry skin, where it’s intended to soothe and protect the surface of skin. Where things get murky is when honey is touted as a natural anti-acne solution. Fighting acne is about what is happening in the pore, along with a build-up up dead skin cells—honey cannot address that. In this case, without question, you’re better off sticking to products formulated specifically to treat acne. Avocado is another ingredient that you’ll often see in homemade facial moisturisers for dry skin, due to its emollient properties. It’s also a good source of antioxidants and skin-replenishing fatty acids. Avocado won’t remain stable for long, but for short-term use, it’s a worthwhile DIY skincare ingredient, especially when mixed with other emollients like non-fragrant plant oils. Charcoal is commonly used in homemade face masks for oily skin and blackheads, where its absorbent properties help soak up excess oil—not a bad idea, but, depending on the formula, it can be harsh on skin. DIY peel-off charcoal masks that include an adhesive base of glue (or even worse, superglue) are particularly popular right now. They are terribly harmful to skin, in frightening ways, and top the list of the worst DIY skincare recipes we’ve seen. When it comes to charcoal masks, leave that to the pros. Papaya is often touted as a natural exfoliant in DIY facial masks for glowing skin. There is some theoretical merit to papaya’s exfoliating properties, but it also can be a skin sensitiser, which makes it a potentially risky choice for skin. Plus, papaya enzymes that exfoliate skin are inherently unstable, so they are only good for one application with each batch you make. You can find far better leave-on exfoliants. Lemon juice is prevalent in DIY skin-lightening recipes that claim to fade brown spots and red marks left over from breakouts. This one is a definite DON’T. Lemon is exceedingly sensitising to skin and can cause photosensitivity when exposed to sunlight. Really—this is just a bad idea from any perspective! Instead, opt for skincare products that contain gentle brightening ingredients backed by research. Tons of DIY mask recipes call for yogurt, but the jury is still out on yogurt’s benefit due to limited research showing if yogurt is effective when applied topically. What we do know, however, is that eating yogurt and other fermented dairy foods can help improve several aspects of skin—we suggest getting the benefits of yogurt that way! Want to Know More About DIY Skincare? 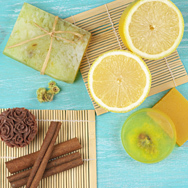 Curious about other DIY skincare ingredients? Look them up in our Cosmetic Ingredient Dictionary, and check out our other in-depth articles on coconut oil and home remedies for acne.